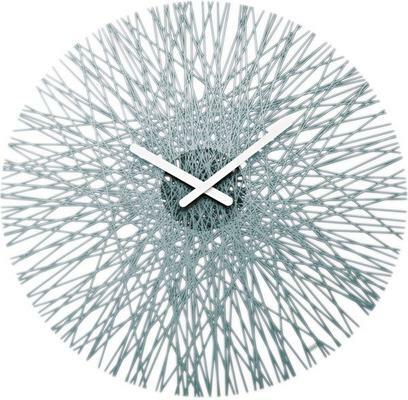 One of the most striking wall clocks around, the Koziol Silk Wall Click in Anthracite is stunning. 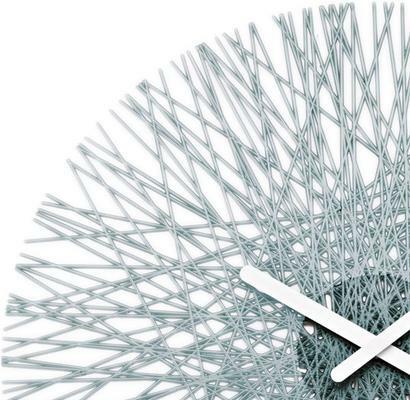 Echoing the deep and beautiful gray of the coal mineral, this clock is made from interwoven strands. The effect is artistic and something you don't see everyday. Use this inside your living room. The clock is actually fully functional. You can tell the time using the white clock hands right at the centre. These are also great as presents. You can give it to a friend or relative that's looking for something beautiful and functional to decorate their home. It's an amazing clock to have.